A Eudemon can evolve twice. First at level 20, and then at level 40. 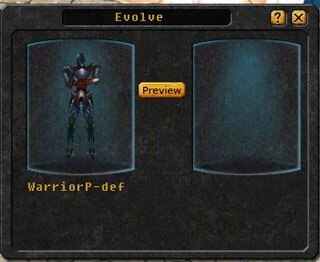 When your Eudemon reaches lvl 20, a button labeled 'Evolve' will appear under its avatar. Summon the Eudemon you want to evolve and click the button. You can evolve your Eudemon again at level 40. 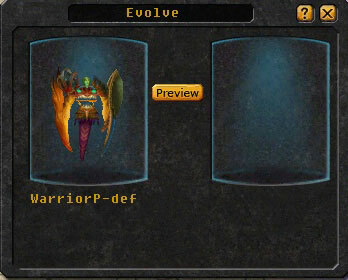 But this time the 'Evolve' button will not appear. 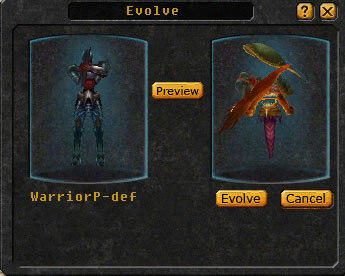 You must go to the Evolution Oven ( 326, 447) in the Market to perform this action. It's just beside the Exp. Lady Vivian. 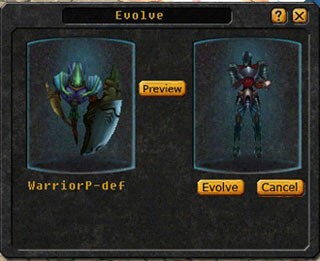 Eudemons get a unique ID after they evolve a second time. What's the benefits of evolvement? The apearance of your Eudemon will change after each evolution. Your Eudemon may receive an block that will allow it to receive special talents in the future. Occassionally, your Eudemon will receive special talents during it's second evolution. Your Eudemon's race may turn to Thunder.